frontman Dug Martch was in the Treeople. 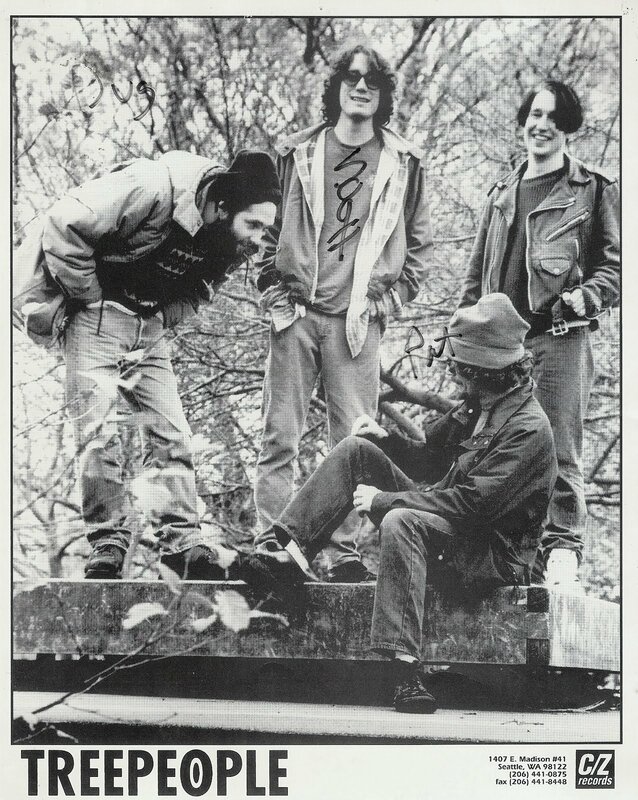 This is an ancient press photo of the band taken in early '90s I guess? I have a lot of warm feelings towards this band, not only because they were my favorite band from the Pacific Northwest (take that Nirvana) but because they were the first band to ever stay with me (1990 or 1991), inspired me to want to learn how to play guitar, and in an effort to help the band as much as I could, eventually move to Seattle to work for C/Z Records, the label they were on. The only irony here is Dug left the band just as I moved out there but lucky for me, Built to Spill was right around the corner. On a sad note, member Pat Brown committed suicide in 1999. He was the first person I knew who took their own life and the first of too many good people from that area to leave us too early.